Need to make a last minute dessert for guests or to satisfy a chocolate craving? 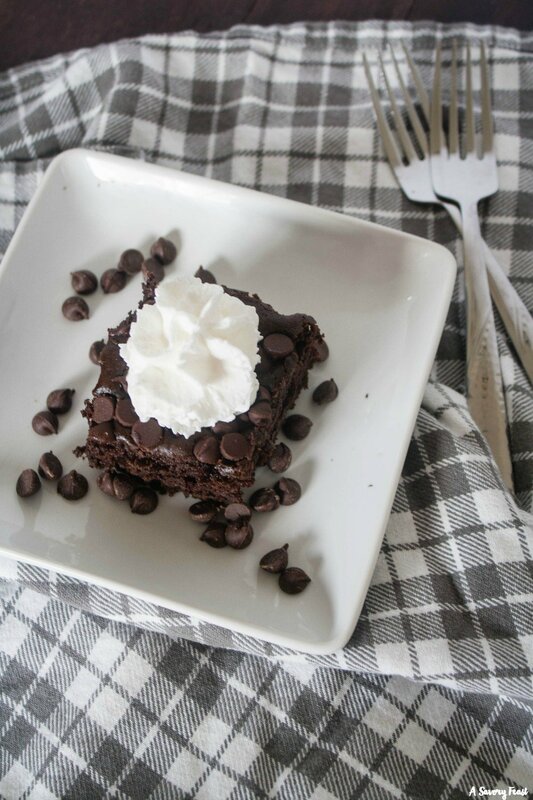 This Fast Fixin’ Chocolate Chip Cake is a snap to mix up using a boxed cake mix and a few special ingredients. You probably already have everything in the house to make this rich cake! No one will believe that you didn’t make it completely from scratch. There are so many fun ways to use a boxed cake mix, besides just making cake! 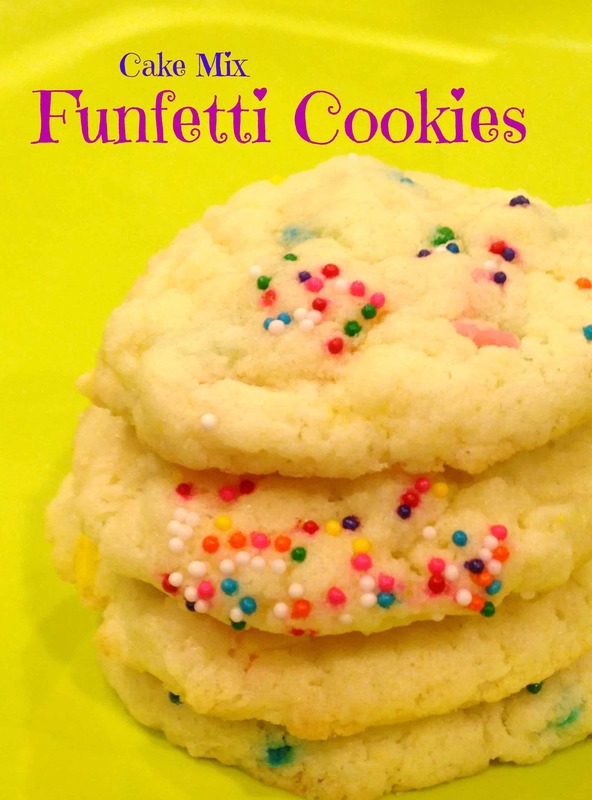 These Funfetti Cookies are lots of fun to make with kids or for a birthday party. They taste similar to sugar cookies and are super soft! And they stayed soft, even the next day. 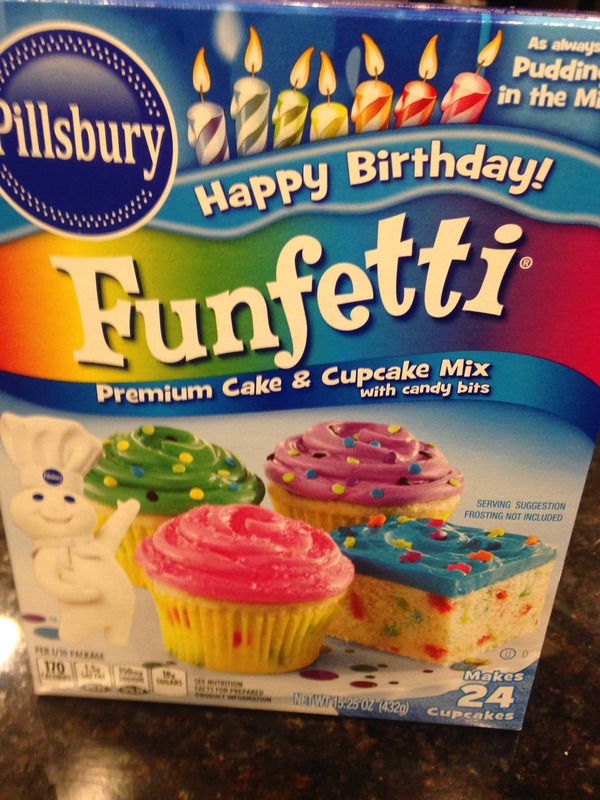 Choose any Funfetti cake mix from the store. 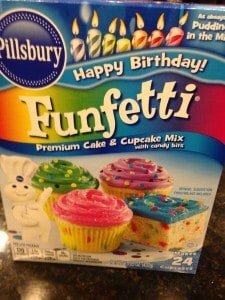 I used this one from Pillsbury. Adding the extra ingredients will give the cake mix a dough-y consistency so that you can make individual cookies. Preheat the oven to 350. Combine the cake mix and baking powder in a bowl. Add the eggs, oil and vanilla and stir well. Pour some color sprinkles into a small bowl. Take spoonfuls of the dough and dip into the sprinkles to top them. 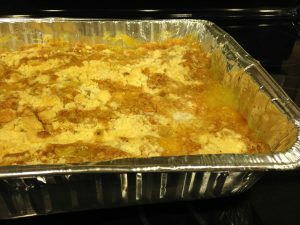 Place on an ungreased cookie sheet and bake for 8 to 10 minutes. This peach crisp requires only 3 ingredients! While it takes 45-60 minutes to bake, the delicious smell that fills your house is worth it! It’s best served right out of the oven and topped with vanilla ice cream. 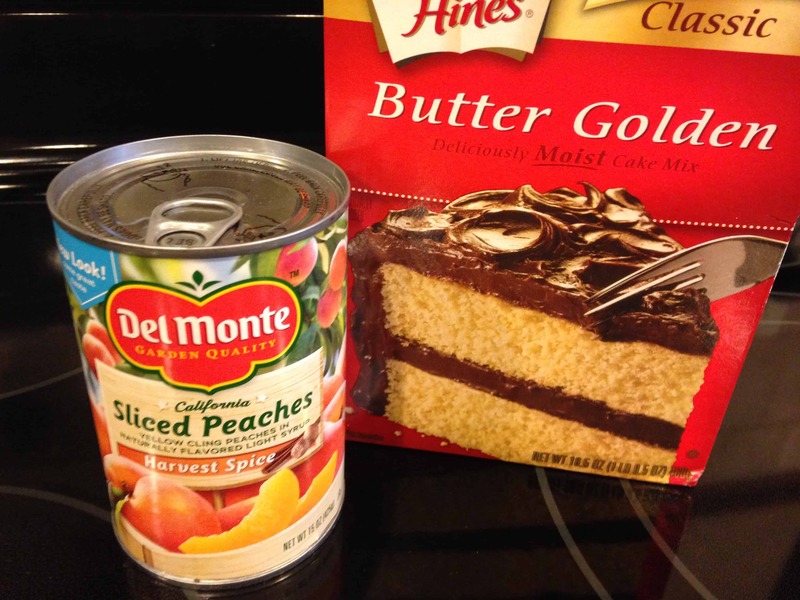 I have experimented with different types of yellow cake mix and this Dunkin Hines Butter Golden mix is my favorite! 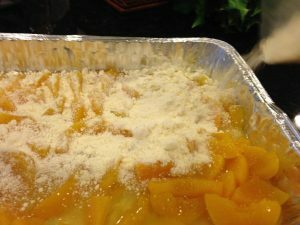 I recently made this peach crisp for a holiday party, so I used these Del Monte Harvest Spice peaches. 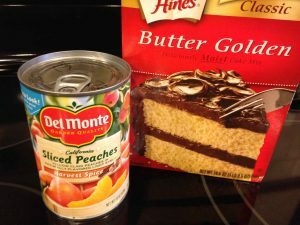 I have also heard of people making this recipe with other types of canned fruit or even frozen berries. 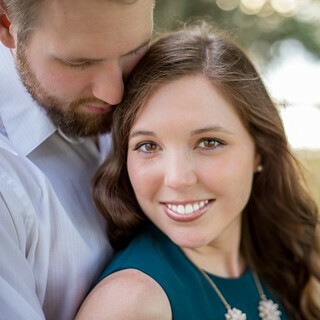 If you try something new, be sure to comment below and tell me about it! Preheat oven to 350. 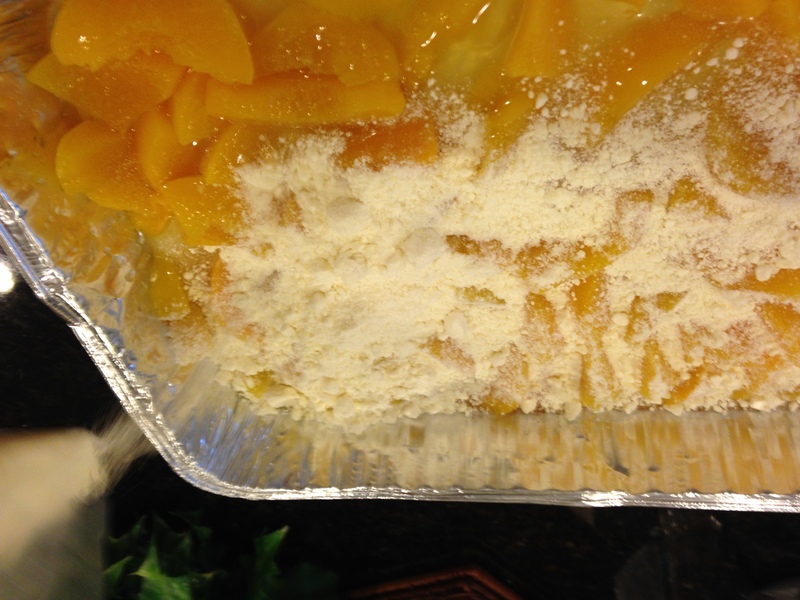 Grease a 9″x13″ pan and pour the peaches with syrup into the pan. If you like, you can cut the peaches in half or just leave them the way they are. Sprinkle the cake mix over top evenly. Pour the melted butter on top. Bake 45-60 minutes or until browned.